Battlefield visitors are fascinated by the experiences which the soldiers endured in the trenches of the First World War. 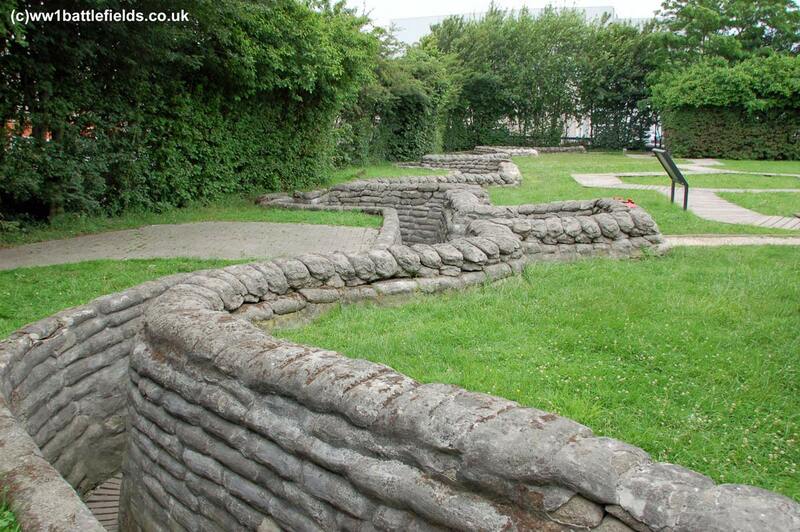 Since a century has now passed since these were in use, it’s not surprising that there are few examples of trench systems still to be seen. However, there are a number of areas on the Western Front where World War One trench systems have been either maintained, or restored – examples of the former include Vimy Ridge and the Newfoundland Memorial Park. The Yorkshire trench is an example of one which was lost for many years, but then rediscovered and the trench lines recreated. The image above shows a satellite image of the preserved trench lines, and can also be used as a location map (use the minus button to zoom out). The Yorkshire Trench is located near the village of Boezinge (previously known as Boesinghe). It’s reached by heading north out of Ypres on the N369 until Boezinge, then turning right over the canal (sign-posted Langemark-Poelkapelle). This road curves to the right, and just after a Peugeot garage take another right turn. This road heads into a large industrial estate, with wind turbines set among the buildings. 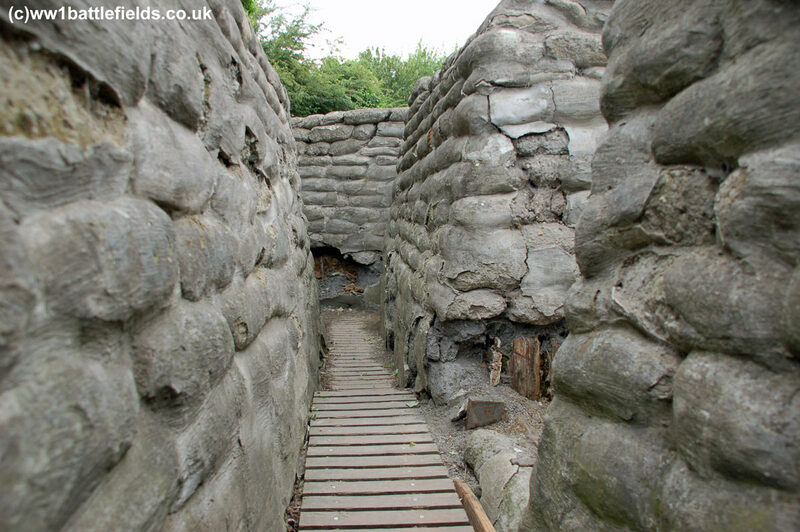 The trenches are found to your right, just before some large triangular-shaped buildings. There are spaces for about 3 cars just before and after the site entrance, and there is no charge for entry. 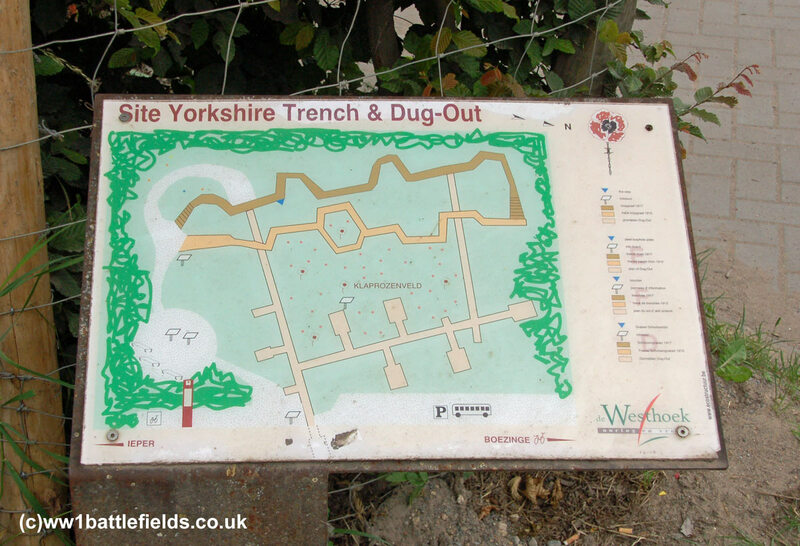 There is an information board at the entrance to the site, which shows the layout of the trenches that were excavated. The excavation work on the trench system here was undertaken by a group of amateur Belgian archaeologists, known as The Diggers. A British dugout from 1917 was explored by the Diggers as early as 1992, but the majority of excavation work on the site took place in the summer of 1998 and in April 2000. The excavations were filmed by BBC TV for their Meet the Ancestors series, with the programme, “The Forgotten Battlefield”, first shown back in March 2002. Trenches from 1915 and later in the war were excavated. The position of the 1915 trench is shown at ground level by a wooden slatted path, but the 1917 section has been recreated. The position of the “Yorkshire trench” which has been recreated can be seen on, and matched with trenches marked on British trench maps from September 1916. The 1915 trench location was around two yards behind that of 1917. 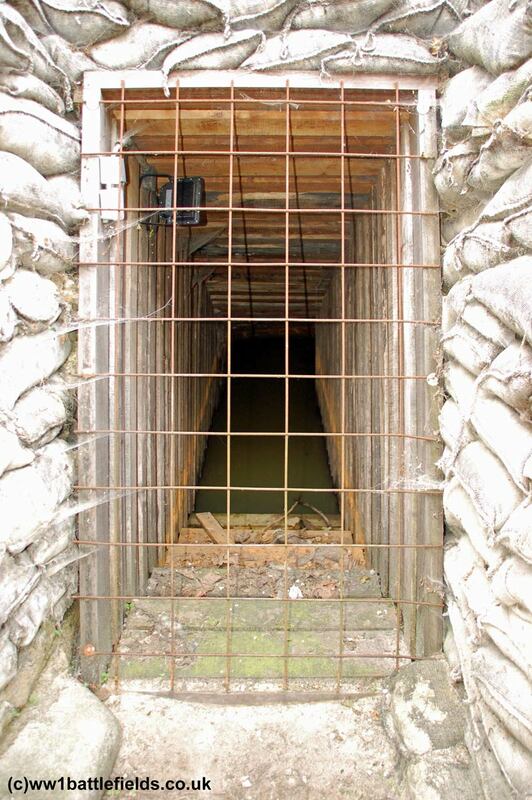 There are several information boards placed at various points around the site, and there is a reconstruction of the A-frame and duckboard construction used to provide the base of the trenches, and of use in raising the bottom level of the trench where standing water was an issue – as it was here in the Ypres Salient. Some of the A-Frames excavated are now in the “In Flanders Field” museum in Ypres. Other information boards have photographs from the actual excavation, plus historical pictures from the war and more information. 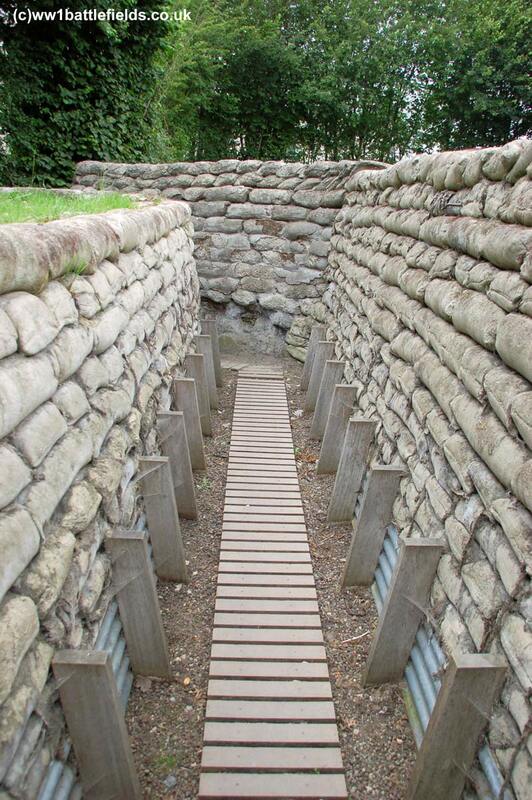 The 1917 trench is surprisingly narrow, and somewhat claustrophobic. The entrances to the dug-outs can be seen leading off it, but are covered by wire and often flooded. Within the trench are recreated firesteps, complete with loopholes The site itself is actually quite small, although the trench system here extended beyond this. In fact more of the site was excavated than has been preserved. Yorkshire Trench is well worth the visit. 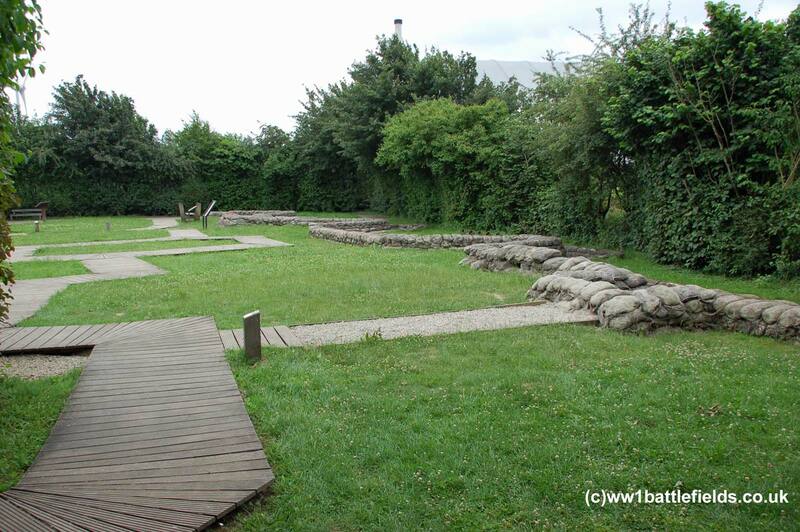 There are not too many sites with preserved or recreated trenches, and this one is based on the careful excavation of a site threatened with destruction, and the eventual preservation of at least a portion of it for public view. The ground here had probably been undisturbed since the end of the Great War before the industrial estate construction started in the 1990s, and it’s a reminder of what still lies below the surface of the ground where these battles were fought 100 years ago. As a grim reminder of the human cost, the remains of more than 200 soldiers were also found during these excavations. The remains of soldiers who fought in the Great War are still discovered today, and when British or Commonwealth soldiers are subsequently laid to rest in a war cemetery, the CWGC lists these on their News page.